A term commonly used with fat burning supplements is thermogenics. Thermogenic supplements help increase the body's temperature enabling the body to burn calories as heat; to be used as energy, thereby preventing them from being stored a fat. Effective thermogenic supplements are those that contain key ingredients that create a fat burning environment by working in synergy. Ultimate Nutrition, Inc. new advanced ephedra free Ultra Ripped contains U.S. Patented and clinically tested Advantra Z Citrus Aurantium (U.S. Patent numbers 6,224,873, 6,316,499, 6,340,481 and 6,340,482) synergistically powered with garcinia standardized for 50% hydroxy citric acid, Brazilian "energized" guarana containing natural caffeine, green tea containing polyphenols and turbo-charged with white willow bark standardized for salicin. New ephedra free Ultra Ripped , scientifically balanced and formulated, the Ultimate Nutrition Way. Chromium (chromium polynicotinate) Chromium Picolinate helps break the cycle of overeating sweets caused by a chromium deficiency and at the same time helps break down glucose and fatty acids more efficiently within the body. Eating sweets (sugar and high-fructose foods and beverages) can cause chromium deficiency while simultaneously causing drastic increases in insulin and glucose levels. Research suggests that weight loss diets achieve improvements in body fat burning by adding dietary chromium supplementation. When insulin is functioning efficiently, blood sugar and fatty acids metabolize properly, producing heat (thermogenisis) instead of weight gain. Garcinia The Garcinia Cambogia fruit is a rich source of hydroxycitric acid (HCA), the active agent that aids in weight loss by inhibiting fat production and suppressing appetite. Garcinia cambogia contains citrin, an extract that is 50-60% HCA, which inhibits an enzyme that helps the body synthesize fat for storage in adipose tissue. HCA promotes energy, inhibits lipogenesis, lowers the production of cholesterol and fatty acids, increases the production of glycogen in the liver, suppresses appetite, and increases the body's production of heat by activating the process of thermogenesis. Bitter Orange/Citrus Aurantium Bitter Orange has thermogenic properties, and helps to suppress the appetite. It also provides synephrine (6%) for increased energy. Bitter Orange contains a rare composition of five amines that are essential for switching one's metabolism into fat burning mode. It also contains synephrine alkaloids that help the body to conserve energy when there is no food intake. As a result, Bitter Orange aids in the breakdown of fat, increases energy levels and increases the metabolic rate to burn calories. Guarana Extract Guarana is a high-energy source that increases mental alertness, fights fatigue, decreases the appetite, and is an excellent mood elevator. When combined with other ingredients it helps to boost their effect. Guarana contains natural caffeine and other phenolic- containing antioxidant compounds. They spur the body's ability to burn calories and unwanted fat cells through the thermogenic process. Guarana also contains the alkaloid compounds theobromine and theophylline, which helps curb appetite from sugar cravings and carbohydrate cravings, and increases weight loss. Green Tea Extract Green tea contains numerous compounds, including the flavonoid, catechin. The antioxidant health benefits of green tea are well known. Green tea may help people to boost metabolism, reduce appetite and lose weight. When combined with the other ingredients it helps to boost their effectiveness to burn fat. It also helps to reduce fatigue and increase energy. White Willow Bark The bark of the white willow tree is a source of salicin and other salicylates – compounds. When combined with the other ingredients it helps to boost their effect to burn fat in elevating energy expenditure and promoting fat metabolism. 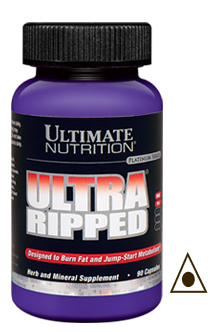 Ultimate Nutrition's Ultra Ripped is designed not only to stimulate the metabolism to burn fat but also to promote good health over the long run. 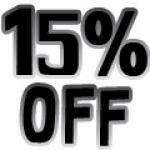 It is comprised of powerful ingredients that are proven to jumpstart even the most sedentary metabolism. With its unique combination of ingredients, Ultra Ripped provides an effective product for weight loss. It also provides a source of energy for the athlete and regulates the basal metabolic rate for optimal health for all age groups. References: Chantre P, Lairon D. Recent findings of green tea extract AR25 (Exolise) and its activity for the treatment of obesity. Phytomedicine. 2002 Jan; 9(1): 3-8. Dulloo AG, Seydoux J, Girardier L, Chantre P, Vandermander J. Green tea and thermogenesis: interactions between catechin-polyphenols, caffeine and sympathetic activity. Int J Obes Relat Metab Disord. 2000 Feb; 24(2): 252-8. Jeejeebhoy KN, Chu RC, Marliss EB, Greenberg GR, Bruce-Robertson A. Chromium deficiency, glucose intolerance, and neuropathy reversed by chromium supplementation, in a patient receiving long-term total parenteral nutrition. Am J Clin Nutr. 1977 Apr;30(4):531-8. Lim K, Ryu S, Nho HS, Choi SK, Kwon T, Suh H, So J, Tomita K, Okuhara Y, Shigematsu N. (-)-Hydroxycitric acid ingestion increases fat utilization during exercise in untrained women. J Nutr Sci Vitaminol (Tokyo). 2003 Jun;49(3):163-7. Preuss HG, DiFerdinando D, Bagchi M, Bagchi D. Citrus aurantium as a thermogenic, weight-reduction replacement for ephedra; an overview. J Med. 2002; 33(1-4): 247-64.